In this episode, I show you how using a Facebook group can help you sell more products and services, and sign up more business partners into your network marketing team. If you’ve been following my blog for some time now, then you already know I’m a big fan of using Facebook to grow my business. It’s the platform that’s helped me to become a top recruiter in my Network Marketing company and also to create a 7-figure business online. 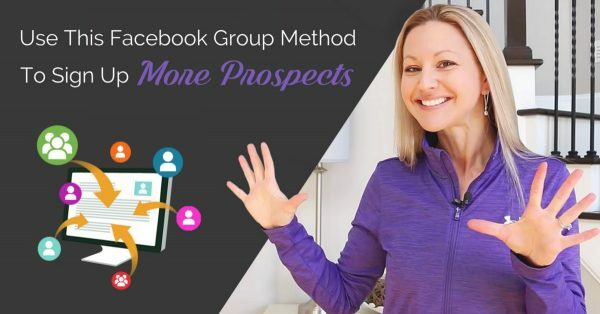 And you may already be using Facebook to generate leads and sales for your business but did you know that you can create your own Facebook group to get your prospects off the fence and sign up more business faster? Facebook groups can help give your prospects a sense of team culture and give them an inside look at the value of your business, products or services. In this episode, I’m going to show you how to specifically use Facebook groups to help get your prospects off the fence so you can sell more products and services or sign up more business into your team. With every Episode of Tanya Aliza TV, I like to empower you with a POWERFUL FREE resource that you can download and implement right away. This week, I put together a Free Step-By-Step Video Tutorial that will walk you through setting up your Facebook group properly. 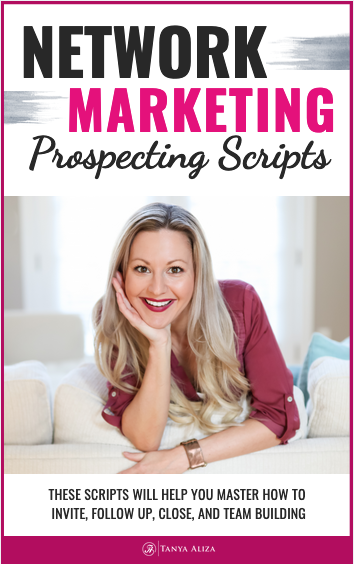 And to make the most out of this strategy you’ll want to have a good follow-up in place, which is why I’m also giving you My Prospect Follow-Up Schedule to go along with the step-by-step video to help you follow up with your prospects once you’ve created your Facebook group. I was at a marketing boot camp seminar a couple weeks ago, that was designed specifically for network marketers, and I learned a lot from industry leaders that are making it happen on social media right now. One of the things I learned that I think is brilliant, is that they use Facebook groups not just for their network marketing teams, but also as a way to get their prospects engulfed in the community and culture before they join them in business. Most teams in Network marketing have a Facebook group that supports and connects their team. But most people aren’t using it as a prospecting tool for the prospects that are on the fence, thinking about whether they should join them in business or not. I’m going to be showing you what I learned and what the process is for setting up a Facebook group for you and your team. Whether you have a Facebook group yet or not, you’ll still want to go through these tips and apply them so that you can get the best results from your efforts. Okay, so obviously, you need to start a Facebook group if don’t already have one in order for this strategy to work. You might already be part of a group that was created by one of your team leaders. You can use that group as a way to leverage your time and efforts or you can create a new one. This sole purpose of this group is for you and your team to use it as a prospecting tool. Building a Facebook community for your prospects delivers tangible and emotional value. 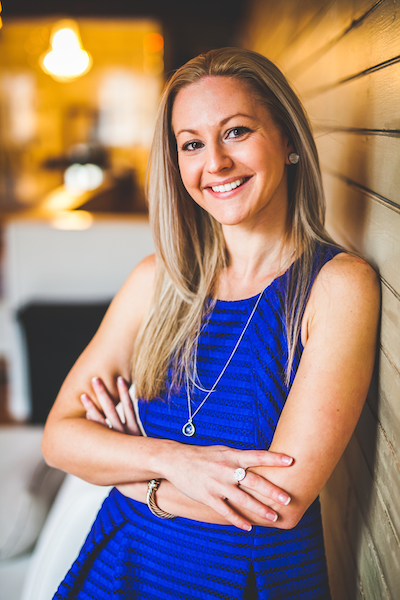 This will give your prospects an opportunity to get a sense of the community that you have inside of your team as well as hear some real-life testimonials so that they can make an educated decision prior to joining you in business. Once you’ve created your group, you’ll want to brand it with a team name. If you’re in network marketing, then you’re already familiar with team names. Use something that’s catchy and easy to remember. Steer away from giving your FB group the name of your company or anything that has to do with your company name or product names. Remember, this name will be branding the group, not your company. You should always be branding your team name with your prospects and inside of your Facebook group community. Once you have your team name, you’ll want to invite your whole team and your leadership into the group. Ask your leadership to engage in the group in a way that’s helpful and encouraging for your prospects. This will help your prospects make a decision to join you in your business faster. When you invite your team into the group let them know what the etiquette is and what they need to do in order for the group to be a successful one for all involved. Encourage them to share testimonials and to be positive at all times. Make it a rule that they must participate. Make it an inviting place for your prospects and your team’s prospects to be able to ask questions if they need more information or if they want to hear more about others experiences with the business or products. It’s also very important that you set up some group rules or etiquette. For one, you need to have a zero-tolerance policy towards prospect poaching. This means that if someone brings a prospect into the group, nobody in the group can try to recruit that person into their business. Unfortunately, some people need to be told not to go around trying to recruit someone else’s prospects. But the goal of the group should only be for supporting each other in business, welcoming new team members and helping those that are taking a look at the business to get a feel for the team culture and value of the business. Setting up a zero-tolerance for group poaching will ensure that the success and integrity of the team culture will stay in place. A really cool tip that we currently use in our team group is to add great testimonials and images into our group’s photo album. We have an album in the group called Testimonials and Success Stories. Whenever someone in our group shares a really cool story or testimonial, I take a screenshot of it and I put it inside of that photo album. I do this because as people post images and testimonials on the group wall, they eventually start to fall towards the bottom and will eventually get lost and won’t be seen again by the new people that come into the group. So, what I do is, I add the images to the group’s photo album and when I invite a new prospect into the group I tell them to check out the photo album that has all the great testimonials about the business and products that our company has to offer. This allows the prospects to see all the cool posts and testimonials that they otherwise would never see if we didn’t add them to the photo album. Use your team Facebook group as an added bonus for your prospect. Let them know you will be adding them for 7 days so that they can get an inside look at what it’s like to be part of your team. Be sure that before you add your prospect into your group, you first have a scheduled time to follow up with them. Don’t just throw them into the group and assume they will let you know when they are ready to join. • Let your prospect know that you will be inviting them into the group. • Do not add them to the group without their consent. • Let them know they will only have 7 days to be a part of the group. • Give them a nice warm introduction in the group. • If they decide not to join your team, make sure you remove them from the group. Follow up is the key. And being able to track the prospects that you’re adding to the group is very important. That’s why I put together this really cool resource for you to download that will help you keep track of everyone you add to your group. Download My Prospect Follow-Up Schedule by clicking on the big yellow button below. 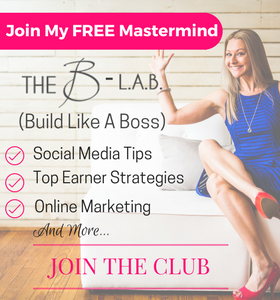 This is my Free Mastermind community on Facebook where I share tips, strategies, and resources for creating Success Faster in your business. Come join the community. If you don’t have a Facebook Fan Page yet and you’re looking at all these rock stars with Fan Page and you want one for yourself… Unlimited Fan Page Proﬁts is a training that I put together that will walk you through the steps of building a Proﬁtable Facebook Page and marketing plan to generate leads, build a big audience and make daily sales. This is my signature course when it comes to building a Influential Brand Online that attracts leads and sales for your business. Who cares about the people that don’t show up for your meeting when you have so many people coming to you and wanting to join your business? Download the audio to your smart phone, tablet or computer and take it with you on the go, at the gym or in the car and become a professional in closing the sale without being salesy or weird. It’s all about ﬁnding out what the REAL questions and objections are and leading them into the direction of a sale or new teammate. 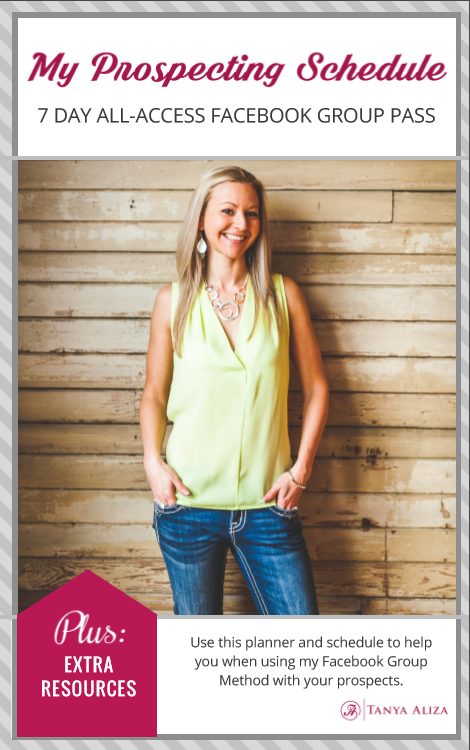 I hope you did because each week I put my heart into making sure you get amazing tips and strategies to rock it in your business work while creating a life you love.